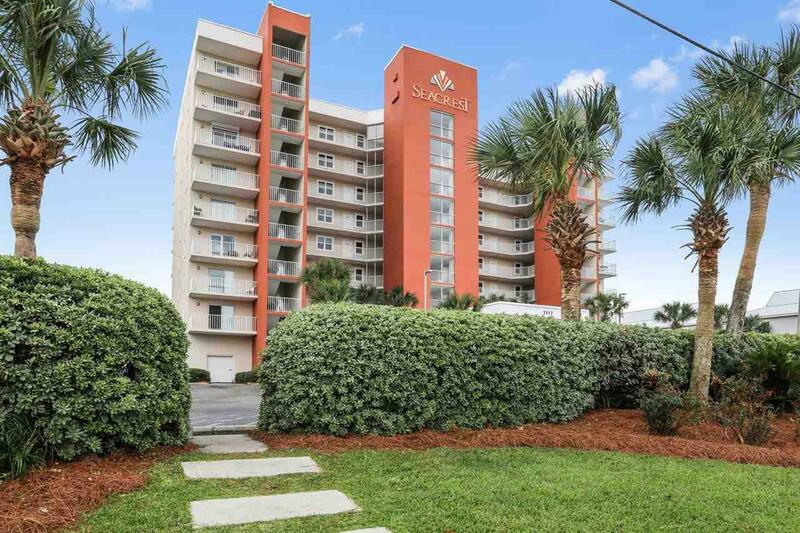 Gulf front unit with awesome views of the sandy white beaches! Granite countertops in the kitchen, new HVAC installed in 2016, brand new hot water heater, new keyless entry, new balcony door ($2700), new bathroom vanity and toilet, and the master bedroom carpet was replaced in 2016. Unit also features bunks in the hallway which maximizes rental potential. Rentals: 2017- $26,774 and 2018- $25,732 YTD as of November 1, 2018. Several owner weeks in each year. Unit is rented thorough VRBO currently. Building was recently painted.